Do you ever scroll through Pinterest and think to yourself, “I would love to be able to make something like that” but you know that whatever you make will just end up in one of those Pinterest fail memes? So instead you just leave craft alone and let the kids have all the fun. Recently I was invited along to the Spotlight Christmas launch. It was like I was in crafting heaven. The room was full of glitter and fabric and all the things that make my heart go boom but make my husbands heart freeze with fear. “Not MORE fabric”, I could hear his voice in my head. I did come home with a very generous gift bag which I managed to smuggle into the house for fear of him burning all my crafty things. 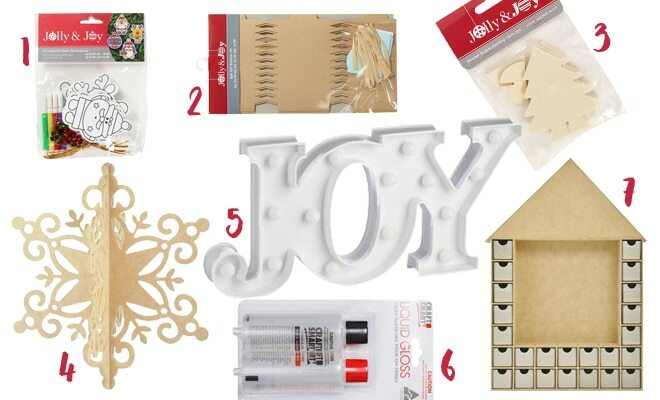 But for those of you who are the DIY challenged Pinterest fail types, some of my favourite things in the Spotlight Christmas range are the products that you don’t need to dream up from scratch or even start from scratch. The inspiration is there, you have the canvas and all you need to do is add some colour or glitter or whatever takes you fancy. 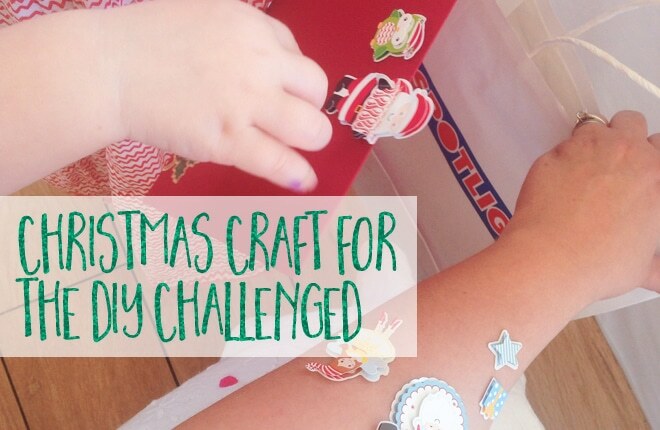 Here are my 7 favourite Christmas craft products from the range for the DIY challenged. Olivia had so much fun colouring these in at the Spotlight event. 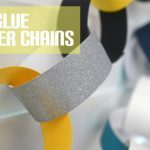 You could colour them in with glitter instead of the textas or even stick them onto Christmas baubles for something different. Making your own bon bons is so fun and you can add whatever little family jokes or personalised knick knacks inside. 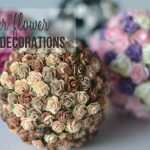 Get the kids to colour these in before you roll them or use coloured ribbon to match your table decor. 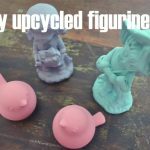 Paint these, cover them in glitter or maybe even try your hand at some decoupage. They would look really cute on the Christmas table on the big day. This would look so beuatiful hanging from a window or doorway. 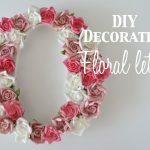 Paint it with white and dip the ends in white or silver glitter. I’ve had a bit of an obsession with these lights for awhile now. Again you can paint the background to personalise and match your decor or just leave them plain. Either way they are really effective and lots of fun. I didn’t actually get to play with this product on the day but I saw the result and it is super cool. You pour over the top of painted products and it dries to give a glass like effect. This would work super well with the wooden trees (#3 above) or the advent calendar (#7 below) for a sophisticated finish. I see these in the shops every year and think how much I would love one. This year I’m going to bite the bullet and make my own. If you don’t trust your painting skills for the numbers (like me) then you could use stickers instead or even draw the numbers onto pretty paper and decoupage them onto the drawers. 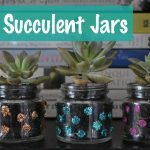 So I somehow managed to mention decoupage twice in this post. We really have done a full circle back to the 90’s haven’t we?! Have you had any Pinterest fails or are you a crafting queen?